Console bundles, games, accessories, T-shirts, amiibos and gifts all included! A Black Friday mega deal has just landed and it's courtesy of Nintendo. The deal allows you to build your own Black Friday swag bag from a series of console bundles, games, accessories, T-shirts and amiibos. 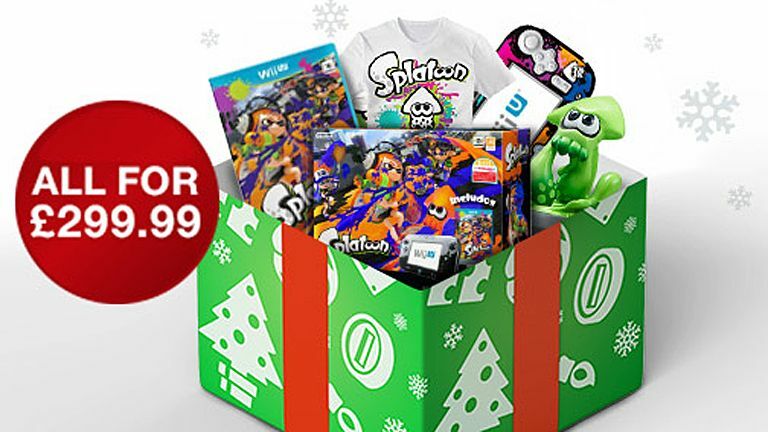 So for £299 you could pick up a Mario Kart 8 + Splatoon Wii U Premium Pack, Super Mario Maker game, Green Yarn Yoshi amiibo, Bullet Bill T-shirt and Mario Red Wheel for Wii U. Yep, that's as insane as it sounds. There are a whole bunch of options and potential configurations for the bundle though, so check it out now if you want get some Nintendo goodness in your life. To score the Nintendo mega bundle deal, go to the Nintendo store now. Also, while we're at it with Nintendo, Amazon too have their own Black Friday Wii U deal live right now. Finally, don't forget to check out T3's comprehensive Black Friday deals page for all the hottest deals currently being offered.